How Can Acupuncture Help You Get Pregnant? In the quest to get pregnant and bring home a healthy baby, many infertility patients are eager to explore every option that might give them an edge. Complimentary treatments and therapies such as massage, nutritional counselling and supplements, chiropractic adjustments and elements of traditional Chinese medicine (TCM) are often suggested as additions to conventional medical and surgical fertility treatments like IUI and IVF. Acupuncture in particular is commonly recommended, but does it work and should you consider trying it? Acupuncture has been used in traditional Chinese medicine for more than 3500 years. The classical Chinese philosophy behind the treatment is centered around the concept of Qi (pronounced “chi”) which is energy flowing through the body in river-like channels called meridians. Qi is understood to nourish the tissues of the body when it is flowing correctly, but blockages at particular points in the body can cause disruption and stagnation, resulting in physical, mental, and emotional ill health, including problems with fertility. The basic purpose of acupuncture is to clear these blockages. By the insertion of tiny needles in strategic points along the meridians, the energy flow can be freed and balanced, and health can be restored. Western medicine has recently begun to explore the wisdom of acupuncture, and the benefits proven by thousands of years of expert practice in China. Our understanding of how acupuncture functions and the language we use to describe the reactions in the body may vary from the traditional explanations, but the practice of acupuncture itself remains pretty much the same whether performed by an expert in TCM or a Western therapist. How does acupuncture work, and how could it help me get pregnant? Acupuncture seems to be an effective way of prompting the body to release beneficial endorphins. Endorphins are naturally occurring chemicals in the body. They are neurotransmitters which signal the brain to fight pain, activate the brain’s reward system, and induce a sense of satisfaction or even euphoria. Infertility is a profoundly stressful experience for many patients, and stress takes a huge physiological toll on your body at a time when you can least afford it. Acupuncture treatment can be a valuable tool to help you into a state of profound relaxation, giving your body a much-needed break. 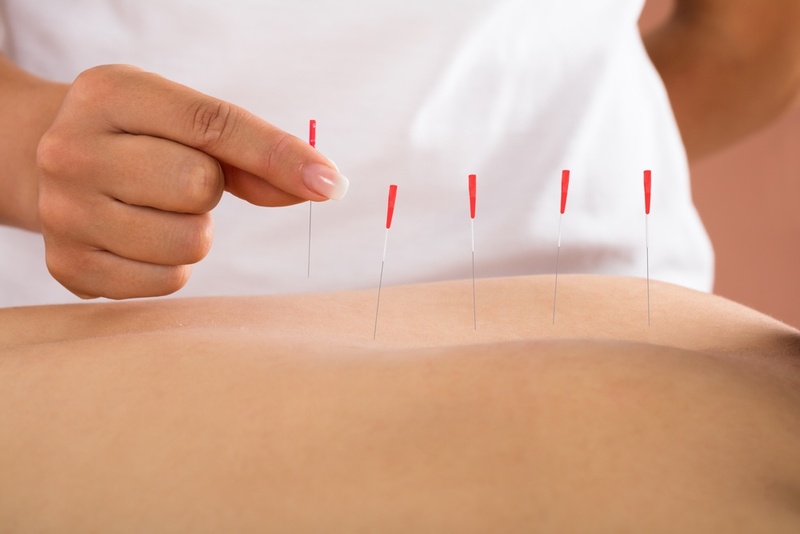 Acupuncture applied to traditional points for female infertility can increase the blood supply to the uterus, which is a very good way to help prepare the body for pregnancy. Improved blood flow to the uterus can help thicken the uterine lining, also known as the endometrial lining. This lining is where the fertilized egg implants, which is a crucial moment in an establishing pregnancy. A healthy and receptive endometrial lining is extremely important and could explain why acupuncture is associated with improved pregnancy rates. Similarly, acupuncture applied to traditional points for male infertility may play a role in sperm production by improving blood flow and reducing inflammation in the pelvic cavity and testicles. Acupuncture may also stimulate the brain in ways that help it to regulate problems with the body’s neuroendocrine system, correcting the flow of hormones which stimulate the adrenal glands, ovaries, and other organs and systems involved in reproduction. This could explain one of the ways acupuncture may work to relieve the symptoms of Polycystic Ovary Syndrome, a very common cause of female infertility, and how it can help to improve sperm count and quality for some men. Is there scientific proof that acupuncture can boost chances of pregnancy? Though clinicians have seen benefit from acupuncture, some of the Western medical community is still debating the validity of acupuncture, but recent scientific studies show strong evidence that it could play a beneficial role in the treatment of infertility. Researchers around the world have been looking at how the body responds to acupuncture and how it might relate to conception and pregnancy when used as an adjunct therapy to conventional fertility treatments. One landmark study conducted in Germany and published in 2002 in the journal Fertility and Sterility compared the pregnancy rates of 160 women undergoing IVF. Half received acupuncture and half (the control group) did not. The pregnancy rate for the acupuncture group was significantly higher: 42.5% vs 26.3%. Research published in the journal Acupuncture in Medicine in 2006 found that acupuncture administered at the time of embryo transfer in IVF significantly improved clinical pregnancy rates. A study published in The Journal of Endocrinological Investigation in 2011 confirmed this result, and also found evidence that female patients with PCOS and male patients with unexplained infertility also benefited from acupuncture treatment. In 2012 The Journal of Integrative Medicine published a small study that examined traditional Chinese medicine techniques (focusing on acupuncture, but with added traditional herbal medicines and supplements) in combination with Intra-Uterine Insemination (IUI) The test group saw a pregnancy rate of 65.5% vs 39.4% in the control group. Research is still in the early days, and more controlled randomized studies are needed. 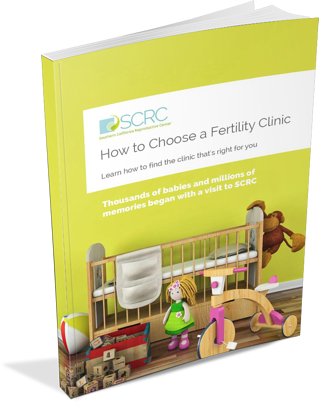 But these results offer reason to hope that acupuncture, when combined with modern fertility treatments and Advanced Reproductive Technologies such as IVF, could improve your chances of success. When performed by a certified therapist following proper safety standards and procedures, acupuncture is safe. If you have a particular fear of needles, it could be counterproductive to put yourself through the stress of treatment, but even nervous patients find that with a careful, gentle therapist the process is almost painless. The needles used are of a very fine gauge, which means they are so thin that they barely sting when inserted. Some patients report a faint ache in the area around the needle at certain sites or a slight tingling sensation. Many people feel slightly cold during and after the session. If you have a virus such as a cold or flu, you may want to postpone a session: viruses can sensitize your system and make acupuncture more uncomfortable. If you find acupuncture too difficult because you fear needles or are especially sensitive, you might want to explore acupressure as an alternative. This therapy stimulates the same “pressure points” using touch instead of needles. It may not be as effective as acupuncture but could still be worth exploring. It is important to remember that nothing is guaranteed in fertility treatment, and there are no magic cures. Acupuncture may not have much effect on some types of infertility such as blocked fallopian tubes or other physical and structural issues, which is why it is so important to get a full and accurate diagnosis at the beginning of your fertility journey. Adjunct acupuncture therapy, however, is very low risk, and the evidence is promising enough to take seriously. You should feel confident asking your doctor about adding an acupuncturist to your fertility team, because it is important that you communicate about any complementary therapy or treatment you are considering.